Home design experts suggest that the look of your living space can be an indication of your personality. This is why it is very important to pick the right floor material for your home or office. Unlike what many homeowners think, when it comes to enhancing the look and appeal of luxurious homes with floor medallions, there are unlimited possibilities. Whatever area you want to improve its décor, whether it is the living room or even the dining room, the decorative additions can add life to your floor and even increase the value of your property. Nowadays, it is not strange to use floor medallions to spice up the look and appeal of the custom built home. Thousand of homes and offices have made use of medallions to enhance the appeal of their high end properties. Adding the floor design in your home will add beauty and improve the elegance of your home, whether it is in the interior or exterior. One great advantage of the floor medallion over hardwood floors is that they are available in unlimited options. From their colors, shapes and sizes, there are endless possibilities. On top of this, if you do not find something that suits your need, you can have the inlays customized to suit your custom built home. Therefore, whether you are looking for a decorative design, a family crest or a nautical theme, it can always be crafted to suit your specifications. You can also opt for a custom border. A popular choice for most homes and which is worth trying is the round marble floor medallions. These are available in a wide range of sizes and color schemes. Another good alternative is the Italian medallions as they are also available in unlimited options. 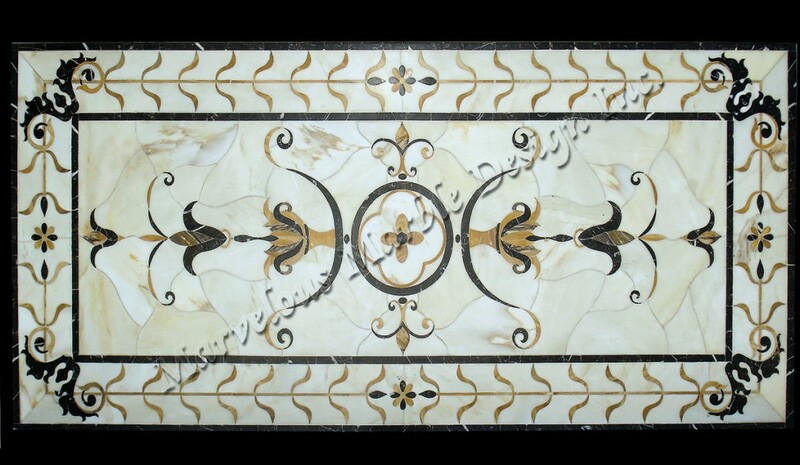 When choosing the marble floor medallions, size is of outmost importance. Therefore, before you head to the home improvement store, be sure to measure the size of your space where you want the floor medallions fixed. This will ensure that you avoid wasting any materials for your high end home. Also, you will ensure that you have enough materials for your home. When it comes to the question of the durability of the floor medallions, you can be assured that the material will withstand the test of time. The floor medallions will definitely transform the look of your home and you can be assured that your guests will be impressed by your taste of the fine things in life. For more information about floor medallions visitMarvelous Marble Design Inc.
Posted 4 years, 9 months ago at 11:12 pm.